Internet marketing is something that a lot of people use to get the word out about something. Since most people are connected to the Internet everywhere they go, it just makes sense to use Internet marketing to your advantage. Here are some things you can do to utilize this. Figure out how to get yourself a website put together. You can either learn how to do this, or hire someone else to help you out. Web designers are fairly easy to find these days, and they shouldn’t be that expensive to hire depending on what you want done. Always check with a few different designers before making your decision. It’s also important that you check on their references if they have any work that’s already up online. There’s no reason to pay someone to do work that they can’t prove that they are capable of getting done. Try building up a list of contacts by asking your current customers for their email addresses. You can also put up a form on your website and ask them to sign up there. Be sure that you offer some kind of incentive for them doing this. Something like free shipping coupon codes from time to time, or something else that they can use to get your products and try them out. Always make sure you put some kind of an expiration date on your coupons and things so people don’t try to use them in the future when you don’t even have those things available any longer. Get involved with social media websites. You can easily set up a profile for any kind of a product or service and then allow people to follow what your business is up to. By just taking your time each day to update your profile a little bit, and speak to the people that have questions or concerns, you can start racking up followers that really start to enjoy what you’re doing as a company. Don’t forget to update people often, but also know that updating too much can be sort of a problem too. Make sure you study up on Internet marketing on a regular basis. Sign up to read technology blogs and news so that you can see when the next big thing is on the horizon. It will help you to beat out your competition if you’re able to get on with new technology on a regular basis. It’s never a good idea to just think everything is the same as it was a few years back, because in Internet time that is far more time than that. Something could change in a day that will change the face of the web forever. As you now can tell, getting started in Internet marketing is not terribly difficult. Just keep in mind the things that were gone over here, and everything else will fall into place for you. Just make sure you enjoy your success when it comes to you! With all the information out there, it is not surprising that people make mistakes when they are trying to put together a marketing plan online. In fact, some people think they’re doing the right thing, and feel discouraged when the system doesn’t work and isn’t working out for them. Here are some of the major mistakes people are making with internet marketing. Make sure you do your best to avoid these mistakes yourself. The first mistake people make is to not do any internet marketing at all. This is a terrible mistake to be making. It’s the same as those companies who opted not to do any tv marketing when in the early days of television. This is still very early in the life of the internet, and when you consider how much business you could be losing, you don’t want to be on the wrong side of history. Another mistake people make with regards to internet marketing is to not ask for help. If you don’t know what you’re doing, why not get a professional’s help? You may not think you can afford a professional, but there are many marketing consultants who are not as expensive as you might think. Not only that, but you can also head to forums for internet marketers. You can learn a few things if you hang around and start to pick things up. If you are hard-selling all the time on the internet, you need to head back to the middle ages. There is no reason to be spamming those you want to buy your products. They won’t like it. Do you like when a company posts ad after ad after ad on the social media site of your choice? You probably don’t. One mistake that a lot of people make is to forget the customer. People spend so much time trying to impress whatever search engine, that they forget about the people who actually buy the products. Go over your site and make sure that it is readable and relevant to those people you hope will be your customers. If people like your site, it will be a success no matter what your SEO is like! Another mistake that is rather common is thinking that marketing will produce instant results. It is not always like that. In fact, it is more often not like that. You have got to be patient. It is a good idea for you to diversity your marketing techniques, so that you are always working on something new to take hold. Yet another mistake that people make when doing internet marketing is not monitoring how their efforts are doing. When you don’t know what is working for you, and what isn’t, you are being inefficient. You will likely be spending time on something that isn’t serving you, and you won’t be amping up methods that you’re having success with. With internet marketing, you are going to have hits, and you are going to have misses. But if you follow the advice in this article, you will be able to avoid some mistakes that a lot of people have made. Avoid wasting time, and avoid the mistakes laid out here. Internet marketing has been pushed as the next big thing. It is suppose to be the land where single moms and teenagers are able to make millions with just an idea. I am here to tell you that it takes more than just an idea and more than just hard work to be successful at Internet marketing. Marketing on the Internet is a skill that takes time to develop. It’s not a skill like learning how to play the guitar but it is a mental skill, where you have to recognize marketing opportunities. You have to learn how to think about marketing and how it applies to the internet. There are also key concepts that you must understand such as chasing traffic, marketing to people when they want to buy and creating rapport with your audience. Before you start an internet marketing campaign, you need to know who your ideal customer is. What do have for sell, where do people who need your product hangout on the internet, and what problems do they have? Before you can make one penny from the internet you need to know the answer to those questions. Next you need to know what internet marketing is because it really is just an umbrella term. Online marketing can be video marketing on youtube, it can be social media based marketing via twitter or Facebook. Online marketing is also search engine optimization and trying to drive people to your site via articles and link building. Online marketing can also be paying for ad space via Google Adwords or buying banner on websites. You can even buy ads on Facebook. Internet marketing composes of all of these different places and style of marketing. You can try them all or maybe should specialize in one form of marketing. There’s a ton of money to be made on the Internet but it is far from easy. It is my opinion that some of the best Internet marketers are great at building a brand and building a relationship with their customers. What is different about today’s consumer should reflect in your marketing strategy. Today’s consumers are more knowledgeable, they have Google at their fingertips and they can learn everything about your product and where to find it cheaper. You can specialize in cheap services or you can focus on creating a rapport with them. People are more likely to buy from people they trust and I believe that is the most important thing that we have to remember about Internet Marketing. We have all these outlets to use to build rapport such as social media and few companies are using them in the right way. In closing, Internet marketing forces you to change the way you think about customer and business relationships. Companies and individuals who can create trust will make the most money and will have more repeat customers. There are many facets to Internet marketing from article writing, to paying for ads, to social media and video marketing. Find where you customer base spend their time on the Internet and advertise there. Internet marketing is commonly defined as the advertising of products by using the internet to reach your specific audience. When done well, it can bring a significant amount of income, and, for many companies, is the main way in which they sell their products. In this article, we will go over some of the fundamentals of internet marketing that can help your business be a success, such as honesty in advertising, blogging, and making it clear that you are a legit company. First of all, make sure the main marketing message on your website is uncomplicated, straightforward, and honest. Considering the enormous quantity of content on the internet and the constant pull for attention, it is no wonder people seldom go through the hassle of reading long, convoluted advertising text on a site. If you are honest and straightforward, readers will have more trust in your business, as opposed to ignoring it and blowing it off. Sticking to “honesty in advertising” is the best choice every single time. Although some ads make claims that seem too good to be true, this does not mean you have to follow these same tactics, which often given internet marketing a bad name. It is no secret that you can make a substantial profit by simply choosing to be truthful and sincere. Consider the type of people you from which you would buy and strive to model your business after them. Blogging is a also a great way to sell products, and adds a personal touch that readers can easily identify with. It is a helpful way to improve any online business, and is an additional way to connect with your clients. It not only adds content to your site, but it also grows your online presence. This often directly translates into a loyal following and paying customers. In addition, be sure to include a section on your site that displays how your customers can best get in touch with you. Even if your contact information is at the bottom of every page, it will build trust with your readers, and will let them know that you are a real person. Doing this not only puts your customer at ease, but it also has search engine optimization benefits if anyone searches for you or your location, your site is more likely to show up in the search results. Internet marketing is a huge marketing opportunity for anyone willing to learn and master the principles involved. If an individual has a product that people want to buy, a well-placed advertising campaign on the Internet will pay dividends. Everyone is on the Internet it seems and for a small fish to get noticed in the big sea of Internet marketers is a big proposition, seemingly difficult to overcome. There are, however some strategies that do overcome seemingly insurmountable obstacles. The key to developing a way to market a product through Internet marketing is to either make a decision to hire someone who is an expert in this area, or learn how to do this yourself. Hiring a firm can be expensive, and there is no guarantee that the results will be to your liking. Testimonials are as good as the person that says they are good and unless you can speak directly to the person that gives the testimony, they are pretty worthless. So, if an individual is to take on this project him or herself, a learning curve must be overcome. Learning how to develop a website can be a bit intimidating, but a blog can be started immediately for nothing and the learning curve is small. Blogger.com is a good place to begin. They will walk anyone through the steps so they will be up and running very quickly. Next, you need to find out where your market stands in comparison to the competition. The google keyword tool is your next stop in your Internet marketing adventure. This tool is free and will tell you what people are searching for on the search engines. Since most people use Google, that is a good benchmark to use. So, let’s say that your product is fishing lures. Go to the keyword tool and type in “fishing lures”. You will see how many people are looking for that term in a month. Probably quite a few. You will probably need to narrow your search term down to the point where you have a good number of lookers, and not too many websites that are competition. You might try some varieties of fishing lures such as “deepwater lures”, or “night fishing lures for catching bass”. Once you find a keyword, or a keyword phrase that is being searched for from 30,000 times a month and up, and the competition shows weak, then you have a winner. Build your blog around that keyword phrase. Try to incorporate the keyword phrase into the url, the title of the blog and use in two to three times in the body of the description of your blog. It is likely that the blog will eventually rank well in Google. This is the main technique in attempting to gain an organic rank on a major search engine. Now you can keep learning by discovering other key words that rank in a similar way and build blogs around those keywords. When you have several blogs pulling in traffic to sell your fishing lures, you might just have a good start on an Internet marketing business. Automates Tasks Like Email, Writing, Creating Websites, Checking Stats, Blogging, Website Maintenance, Posting Ads, Research, Product Reviews, And So Much More. We’ve Cracked The Code To Getting More Done And Making More Money Online With Less Work. 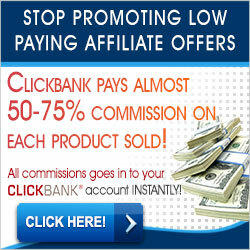 Easy Money At Home – Try It Now Earn Fast Cash – Find Out Secrets. No Internet Marketing Guru Story is Complete Without Showing Off Their Toys and Possessions Easy Money At Home – Try It Now Earn Fast Cash – Find Out Secrets. Sure, Internet Marketing Can Be Tough, Especially If You Are Not Confident And Certain About What You Should Be Doing. But With This Software, Things Can Be Easy. Because You Will Be Able To See Where All Your Traffic Is Coming From, And So You Can Be Confident In Your Marketing.